We all have the “pretty” pictures of our kids, our families, those days we’re supposed to document. They’re framed, in albums, stuck on refrigerators and turned into computer screen savers. They’re moments worth documenting and remembering, for sure. But what about the mundane, the small moments of the here and now, the messes, the chaos, the perfectly imperfect parts of everyday life? Won’t these be the things we look back and truly miss? The things we’ll try so hard to remember, like how the kids looked at the breakfast table with Cheerios in their hair or how your son couldn’t put down that filthy, mangled superhero cape for weeks. I believe in celebrating the imperfect and REAL moments in life, and one of the best ways to do that is to document an entire ordinary day. I’m not talking about a day that you plan to play supermom for 12 hours while you assign your children roles as well behaved and always-clean cherubs. I’m talking about a day just like any other. The kind of day that seems to repeat itself over and over until one day it doesn’t. How do you document that kind of day? Choose the day. 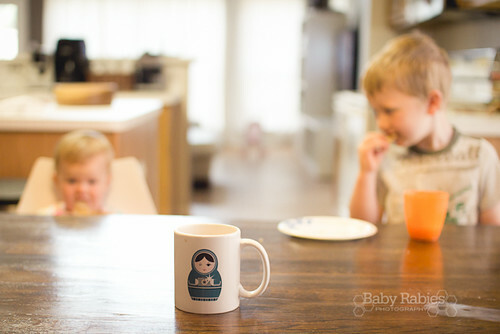 While I’m not a believer in staging any extracurricular activities just for this purpose, it might be wise to make sure the day you want to do this your children won’t be out of the house for 10 hours … unless you’re okay with taking 10 pictures of you, yourself and your coffee mug. Set a timer. The night before, set an alarm to go off every hour, starting with when you usually wake. I always have my phone with me, it’s like a 3rd hand, so it works best for me to set alerts on my iPhone. Prep your camera. Be sure the battery is fully charged and that you have enough memory. Then set the camera next to your bed, right beside your alarm. Make sure you have a camera bag next to your purse and ready to go for trips out of the house. Prep your house. Wait? Didn’t I just tell you the point is to capture real, messy life? The thing is, if you’ve got massive piles of dishes in the background or mountains of laundry, that might be a touch distracting in your photos, and you may not be too excited to look back on them. 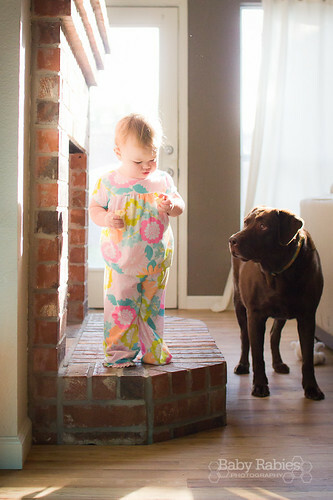 So give your house the once-over, pick up major messes, de-clutter spaces you know will be photographed a lot. 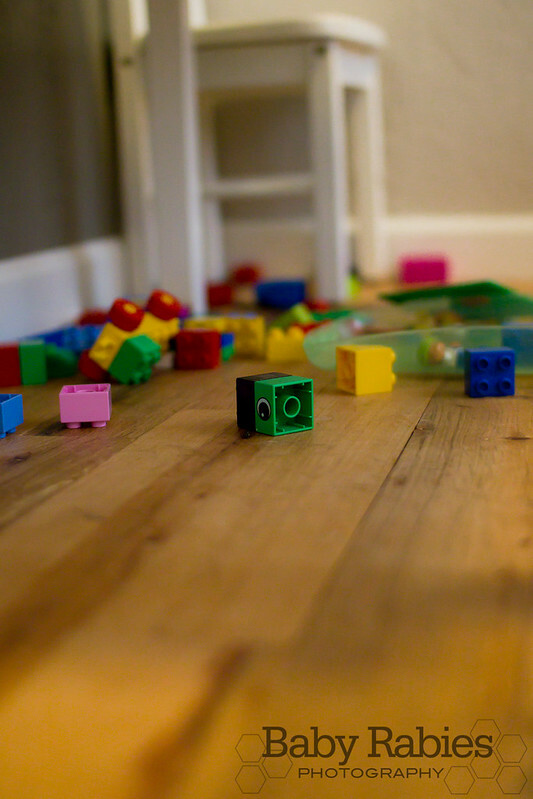 Don’t go scrubbing baseboards or wiping windows though, and know that that box of blocks is going to be spilled back onto the playroom floor at some point during the day anyway, and it’s not a requirement to run to clean it up before taking a picture. Also, think about ways you can let as much natural light into your house as possible — plan to open blinds and drapes the next day. Prep your family … or not. Let your partner in on what’s going on so they don’t think you’re suddenly a paparazzi. Ask them if they could take some pictures with YOU in them. You’re a pretty big part of the day, too, and deserve to be documented. Use your best judgement when it comes to letting the kids in on it. If you think they might use that information for evil and try to cheese it up for you all day, it may be best to just snap quietly without telling them your purpose. Wake up and start snapping. The goal is to have one picture for every hour during your day, ending either when you go to bed, or when most of the family goes to bed if you’re like me and stay up for 3 hours after everyone else is asleep. There are only so many pictures I can take of my exciting life after 9 p.m. Now, this doesn’t mean you can ONLY take one shot every hour, but I encourage you to not make this a thing where your camera is pressed to your face all day. Take a few shots from a few angles of whatever is happening at that moment and put it down. Try not to over think it. Think ahead. As you’re going about your day, think ahead to the next few hours. What’s likely going to be happening then? Will you be putting the baby down for a nap, making lunch, greeting someone at the door? It’s okay to not take the picture on the hour. It’s perfectly fine to bypass photographing taking the trash out so you can capture your daughter feeding the dogs when you get back in. The only rule here is to keep the pictures of stuff that naturally, normally happens. Upload, Save, Print, Enjoy. Don’t take too long to upload and edit the pictures (and by edit I don’t mean you have to do any fancy photoshopping to them, just that you need to delete the ones you don’t want to keep). Find a way to add and save descriptions of your day along with each picture, either by blogging them or scrapbooking them — something to put words with it. Finally, I think it’s a fantastic idea to turn one ordinary day into a beautiful photo book that your family can look back on for years. How often do days like that get the honor of being printed on paper? Not often enough. In the end, it’s not about rules, so don’t stress if you miss an hour or two. It’s not about taking technically great pictures. It’s about capturing those moments we don’t celebrate now because they happen so often … the moments we’ll miss the most when they cease to happen. If you’d like to take a peek into my ordinary day, I’d love to have you. I love this idea also – I definitely want to do this soon, and I like your strategies for making it casual and more “real life”. Also – hi! I’ve been lurking and reading for a while but am trying to be better about commenting! I gotta do this. I just love this idea. Thanks for the tips! I love this idea. I did it last year one day, and I felt so unorganized. These tips will help when I try again! I loved the “Ordinary Day” challenge you set up last year and I think back to it often and how I should really do it again. Sophia turns 1 next week and we both have the day off from work to spend it with her (and go to the doctor’s office) so I think I’ll pick up my camera and document the day. Thanks for the inspiration. I seriously need to do this!!! I like it. And it’s how we’re trying to capture the babe. So far, pretty good.